Free to students, active military, and Tribal Members with ID. 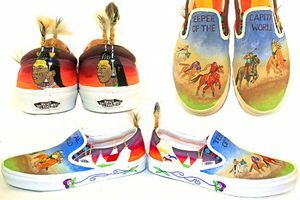 An exhibit of American Indian art by students from St. Labre Catholic Academy in Ashland, Montana, representing the first time The Brinton and St. Labre have collaborated on an American Indian student art show. “Connecting the Past to the Future” features works in the mediums of drawing, watercolor, oil, photography, beading, textiles and mixed media created by St. Labre art students. A reception to honor the students takes place on Sunday, April 7 from 2 pm to 4 pm.